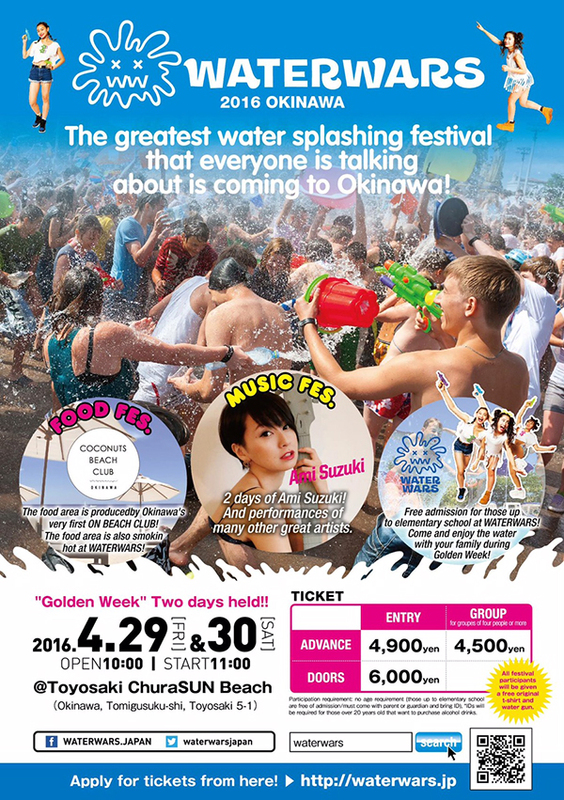 The greatest water war festival is coming to Toyosaki Chura Sun Beach on April 29-30, just in time for Golden Week. J-Pop idol Ami Suzuki will perform both days along with other great artists and DJs. Admission includes T-shirt and water gun. *The special discount card worth 50 percent off the same day ticket price is available for free pick up at the Okinawa Index office at 11-2 Minato in Chatan.